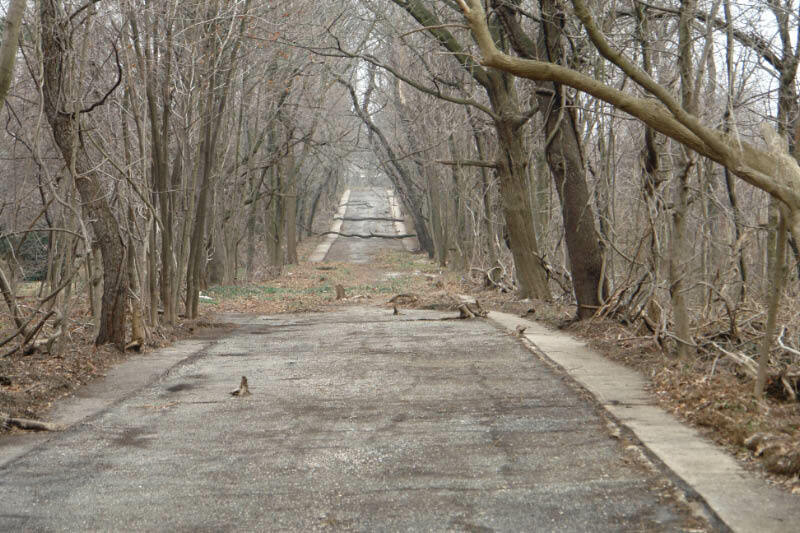 In a new series for VanderbiltCupRaces.com, fans of the Long Island Motor Parkway tell their own Parkway stories supported by images from my collection. First up is Jerry Mintz, who was brought up near Roslyn Road. 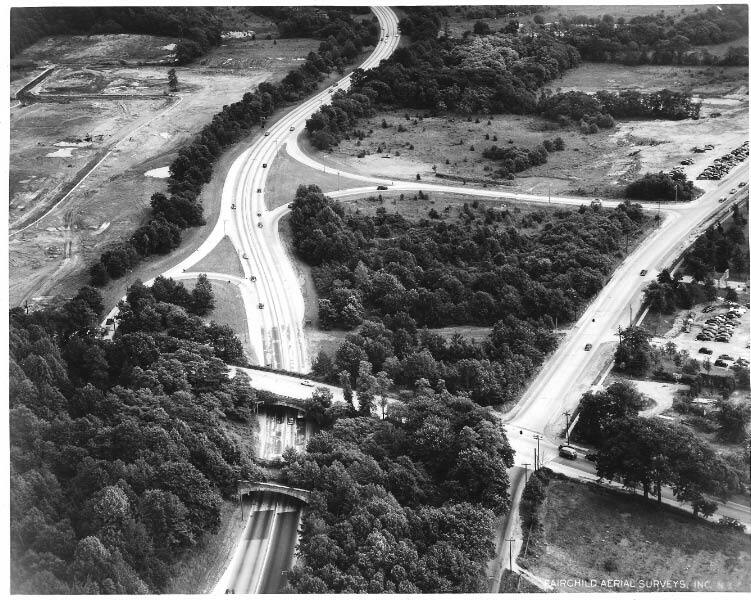 If you wish to be part of this series, please send your Motor Parkway Story to Howard@Kroplick.com . 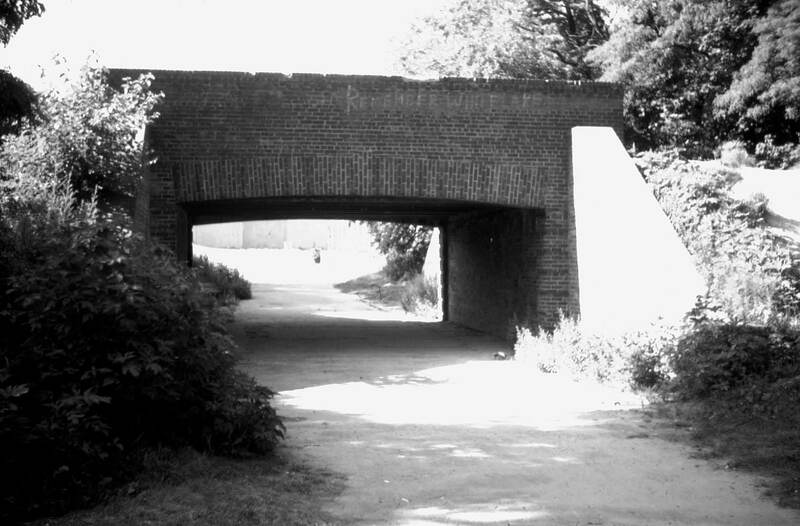 When I was about 12 years old, in 1955, I discovered a strange, hidden road near my house, next to Roslyn Road. I was very curious to find where it went so I started to explore it on my bike in both directions. I almost immediately lost the road going west. 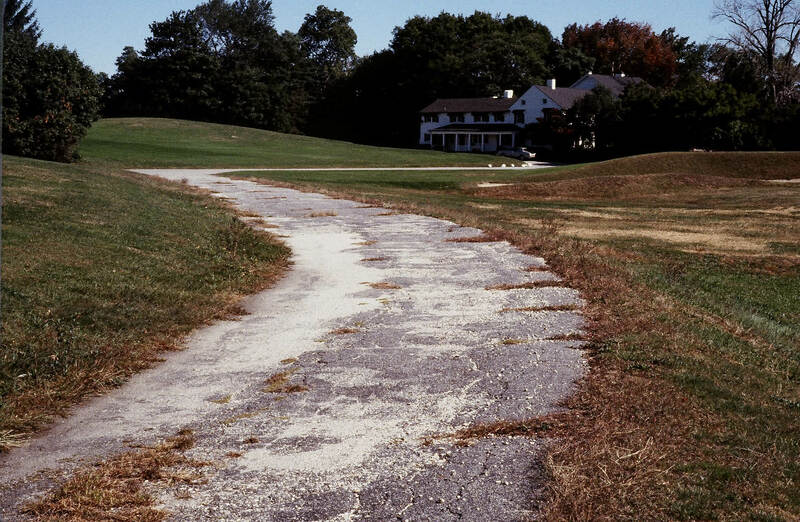 It took me weeks to realize that the road turned when it hit the Wheatley Golf Club. But eventually I found where it came out and continued my exploration. Photo courtesy of Ron Ridolph. I eventually followed it out east long past Eisenhower Park. I remember one hot summer day being very hot and thirsty, stopping at a gas station to get a coke, and not quite sure how to get home. I should point out that in that era it was not uncommon for children to go off on their own much of the day without parents knowing where they were or being concerned about it. Photo courtesy of Al Velocci. 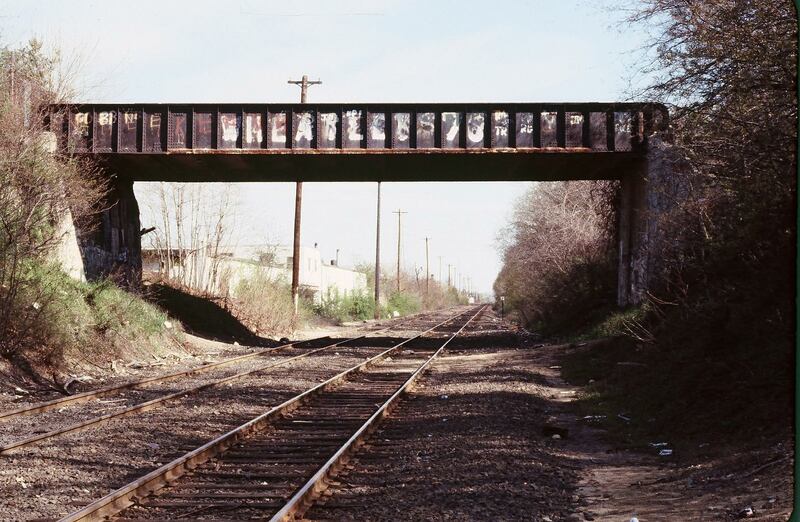 At that time it continued with a bridge over the Long Island Railroad tracks toward Williston Park. Photo courtesy of Ron Ridolph. There was also a tree and plant covered bridge over the Northern State Parkway toward Queens. Both have since been torn down. I followed it quite a distance, sometimes suddenly finding myself in people’s back yards. I eventually followed it all the way to Alley Pond Park in Queens. I was surprised to find myself in parks or going through the parking lots of various buildings. Sometimes I went with friends. Sometimes I went by myself. Eventually I learned something about who built it and why. It was a very exciting childhood experience. Photo courtesy of Margaret and George Vitale from slides created by Lester Cutting. I always show the road to my visitors. 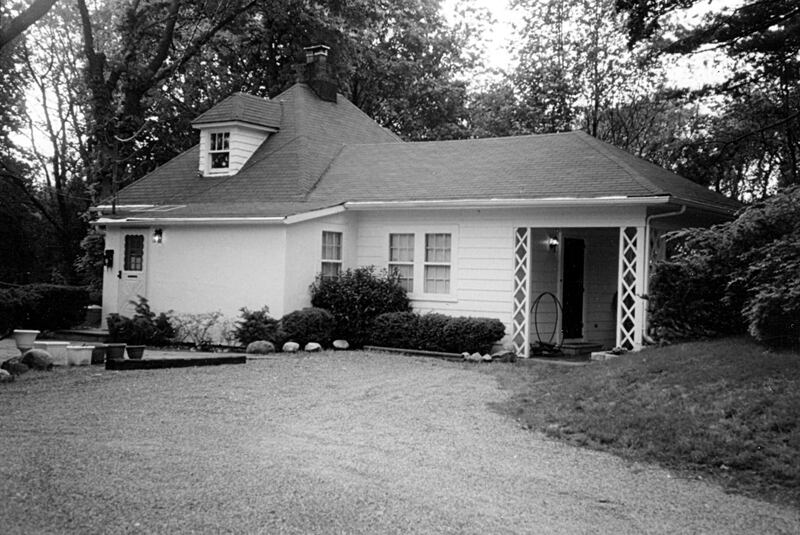 I bring them to the old toll house off of Roslyn Road and the plaque for it off Willis Avenue. Courtesy of Margaret and George Vitale from slides of Lester Cutting. 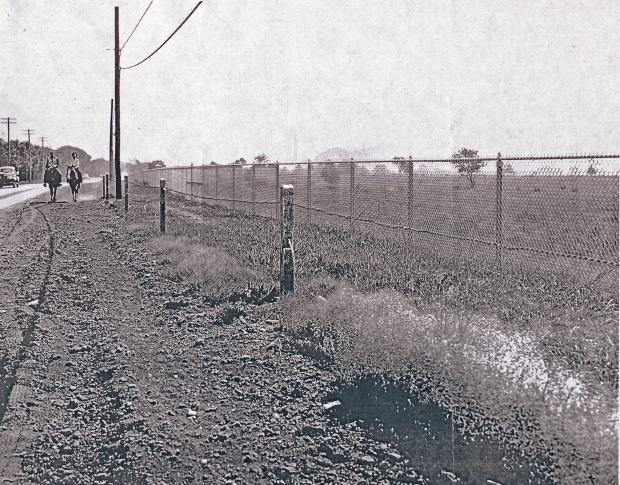 Recently, I was excited to learn about plans to make the Long Island Motor Parkway into a bicycle path again. I fully support this and would be happy to help in its promotion. This should be a very interesting series.I might even have a little something,you might know about it,by where I use to live. What an awesome story, Jerry. I definitely would’ve explored right along with you. Even though I’m a bit of a younger generation, taking my bike far from home still wasn’t a big deal as a kid. Now I make sure my boys have their cellphones when out and about. Ted: You’re right. This is gonna be good. Our parents would all be arrested if they raised kids today the way we were raised! My kids don’t believe anything I tell them in terms of how we grew up! We baby these kids so much now! This looks like a great idea, hearing stories and seeing the pics. I love the then and now pics so maybe insert pics of what locations look like now if possible! Terrific. I remember well how my friends and I would ride our bikes - without helmets, yet - all the way to, and just beyond, the City line. I always had at least a dime to call home if needed. I grew up in Fresh Meadows on the other side of Horace Harding Blvd., which became the LIE when it opened in Fresh Meadows in 1959-60. I was 11 y/o in 1959 when I got my first real bike; a three-gear English racer. Being old enough, my friends and I crossed over the LIE by means of the footbridge that connected 196th St. and Peck Ave. While going along Peck Ave, we got to a point where there was a parallel “bike path”; we didn’t know that it was the Motor Parkway. What a ride, all the way to Creedmor. The road was choppy because the pavement was very worn. Regardless, we built up tremendous 3rd gear speed going down what was the long final grade. Roy: Fantastic story. All is similar today as you’ve experienced, the pedestrian bridge over the LIE, and the still disorienting LIMP entrance at Peck, being as choppy as ever, especially the bridges!. And that last hill under the GCP, like you, open ‘er up in high gear! I’ve recorded it as 8% grade but correct me if I’m wrong. Still nothing compares to that thrill? The idea of restoring the LIMP for a bike path seems reasonable a more so given the success of The Highline. It occurs to be some deep pocket private corporation with an interest in fitness might be approached to contribute. How does The Fitbit Long Island Bikeway” sound? Very enjoyable, the pictures, the story’s and the comments. There was nothing better than a bicycle to explore when your 11 or 12 years old!